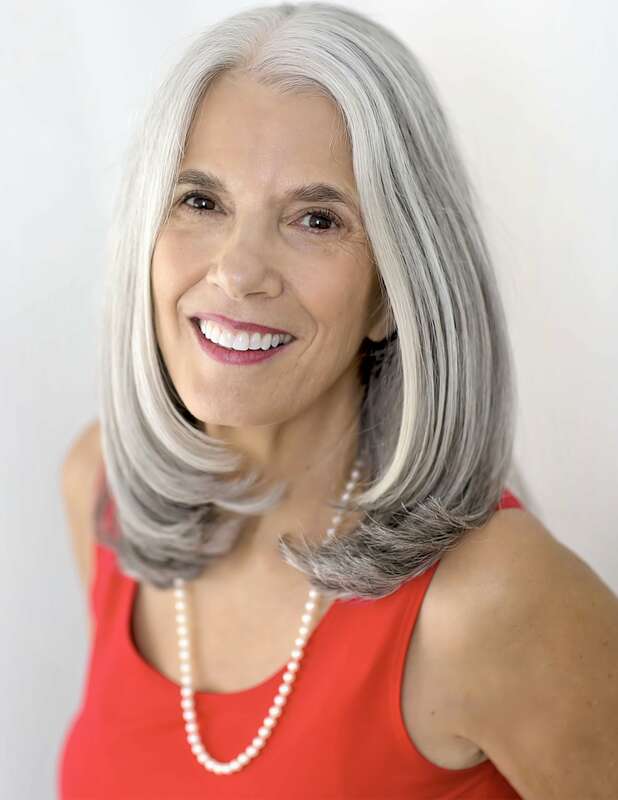 Dr. Fran Addeo has been helping people with the gentle Activator Method with great results for over 20 years. Her office is located in Indian Harbour Beach, Florida and she sees patients from surrounding cities including Satellite Beach, Melbourne, Melbourne Beach, Indialantic, Rockledge, and Viera. From headaches, to neck pain, back pain, shoulder pain, hip pain, or whatever the health problem may be, Dr. Addeo is known for her positive caring approach to correcting the cause of your condition. She also takes the time to educate her patients on how to avoid future health problems. She works closely with her patients to make sure they are "health partners" in their care. She takes the time to explain how lifestyle choices, including diet, exercise and stress management play a part in the healing process and she provides helpful guidance in these areas. She enjoys introducing people to chiropractic care and her recently published book, Chiropractic: The Miracle Within contains information and interesting stories of the miracles she has seen in her office. The following is one of the opening chapters of her book where she tells how she decided to become a chiropractor. The year was 1977. It was a rainy afternoon in Fort Lauderdale and I was driving home from work in rush-hour traffic. The cars ahead of me were stopping rather quickly, so I hit the brakes, and the next thing I knew, KABOOM! My car was hit from behind and forced into the car ahead of me. I suffered a whiplash injury and felt a little lightheaded, but I didn't want to go to the hospital. I wanted to go home and put a heating pad on my neck because I was already beginning to feel stiff and sore. Years later, I learned that a heating pad was the worst thing I could have done. I didn't know that using ice for short periods of time was the best thing to do for injuries. I was young and unaware of many things, including chiropractic. Like many people, I had no idea what chiropractors do, and I suffered needlessly for two years. My neck and upper back were stiff and sore, and the pain in my low back was shooting down my leg, making it impossible for me to enjoy doing the things I wanted to do, such as taking walks on the beach and going to the gym. So when all else failed, I took the advice of a friend and decided that it was time to try chiropractic. At the time, I was working as a feature writer for the Fort Lauderdale News, and during the two years from the time of my accident to my first visit to a chiropractor, I tried many different things in my quest for healing, and wrote newspaper stories about some of them. Different things work for different people, but nothing was working for me until I tried chiropractic. Healing techniques, such as medications, physical therapy, acupuncture, massage, therapeutic exercises, ultrasound, electric stimulation of muscles, heat packs, ice packs, roller tables, vibration stations, nutrition counseling, emotional release techniques, and the injection of homeopathic and other pain relieving substances, all have value for some people, but what I needed for my healing was a chiropractic adjustment. As a chiropractor who has adjusted thousands of patients and seen thousands of miracles, both large and small, my goal in writing this book is to share what I know to be true. Chiropractic is a unique and powerful source of natural healing. Yet many people don't understand or know what it is that chiropractors do. Some chiropractors offer many different treatments beside the chiropractic adjustment in their office. Some offer massage, physical therapy treatments, nutrition counseling and acupuncture. All of these are good and can help release the healing miracle within their patients. However, the chiropractic adjustment should not be confused with other things that chiropractors do. Chiropractic is unique. What sets the chiropractic adjustment apart is that chiropractors are trained to find and correct subluxations. A subluxation is a minor misalignment of a bone in the skeletal system that causes interference to the flow of mental impulses that travel from the brain to every cell and organ of the body. When a friend suggested I go see their chiropractor, I had no idea what to expect. During my first chiropractic visit, the chiropractor found that I had several subluxations. He explained to me how these bones had been jarred out of their proper position during the car crash and were causing interference to the nervous system. I learned that my subluxations were the cause of my pain and suffering. Looking at the chart of the spinal column, I saw how the nerves come out from between the bones of the spinal column and travel to all the muscle and organs of the body. I understood how a minor misalignment of the bone would cause nerve interference and pain. It made perfect sense to me. Pinched nerves in my back and neck were the cause of my problems. There was nothing unpleasant or uncomfortable about the adjustment, only relief from my pain and suffering. "It's like getting your car aligned," the chiropractor said, smiling. "Your vehicle will run much better now." After my first adjustment, I couldn't believe how much better I felt. It was a miracle. Looking back, I see that my car accident was a blessing in disguise because it changed the course of my life and led to my decision of becoming a chiropractor myself. I have been a chiropractor for more than twenty years, and like many chiropractors, after years of practice and adjusting thousands of patients, I sometimes take miracles for granted. As one of my colleagues said, the miracles that chiropractors see every day are "miracles in the line of duty." Chiropractic care is a mystery to many, even to patients who enjoy the benefit of chiropractic care. "It's a miracle!" they say, getting off the adjusting table and realizing their headache is gone or their low back feels better even before leaving my office. Whether it's on a "I'll call you when I need you" basis or "sign me up for a once a month checkup," chiropractic patients like getting their adjustments. As a chiropractor, I believe there are miracles within us all, waiting to be expressed as improved health and sense of well-being. Chiropractic adjustments release the miracle within. While working as a feature writer, I was required to present five story ides to my editor every Monday morning. After a few years, it was challenging to come up with new ideas for stories. As a chiropractor, I never run out of good stories. Every new patient is a another story that demonstrates the miracle within, and I will be sharing many of these success stories with you in my book. There are many different healing techniques and different things work for different people. Sometimes, more than one thing is needed to release the miracle within. Many patients who make their way to chiropractic offices decide to try chiropractic as a last resort. Many times, chiropractic care is the answer to releasing the miracle within, even when all else has failed. When these patients make their way to my office after everything else has failed, I share my story with them, telling them how nothing worked for me until I gave chiropractic a try. I tell them that I was once in their shoes, without hope of every regaining my health, and how I was so amazed at how much chiropractic helped me that I became a chiropractor myself. Then I find and correct the subluxations causing the interference so they can experience the miracle within. As I will explain in this book, what chiropractors do is unique. No other health-care professional is trained to do what chiropractors do. I'm not saying that other health-care providers cannot release the miracle within their patients, because they can and they do. But different people respond differently to different healing techniques. When one thing doesn't bring forth the healing miracle within, another avenue should be considered. In my practice, I refer my patients to other health professionals. These include medical doctors, physical therapists, acupuncturists, and massage therapists if I believe what they do would further benefit the patient. My philosophy as a primary health-care provider is that all health-care providers should work together to do what is best for the patient. Chiropractic care is an important piece of the health-care puzzle, and as I have seen in my practice, chiropractic adjustments can make the other healing techniques, including medication, more. effective. To read more, Dr. Addeo's book, Chiropractic: The Miracle Within can be purchased through Amazon.com. or at her Indian Harbour Beach office. If you have been looking for a chiropractor in Indian Harbour Beach or the surrounding areas, including Melbourne, Melbourne Beach, Satellite Beach, Viera, or Indialantic, call Dr. Fran Addeo, (321) 622-4583 to schedule an appointment for a consultation to see if chiropractic can help you.